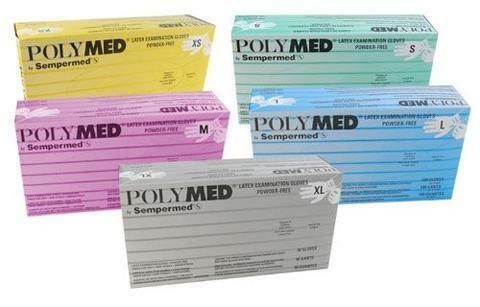 Sempermed USA Exam Glove, Natural Rubber Latex, Medium, Powder Free (PF), Beaded Cuff, Ambidextrous, 100/bx. Create a stronger bond against wear and tear with fusion bonding. A special manufacturing process that actually infused synthetic polymers into the latex. This creates a multi-layer glove that combines the elasticity of latex and the strength of copolymers, protecting against cracking and peeling in normal usage. 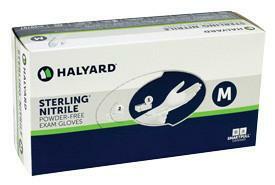 Other manufacturing processes may simply apply a topical copolymer coating to the latex glove. Without fusion bonding, copolymers can fracture, creating particulate residue and possible delamination. 50 micrograms or less of total water-extractable proteins per gram. 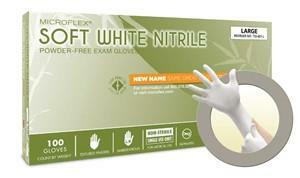 Eliminates potential aerosolization of glove powder and powder associated transfer of chemical allergens. Improved tactile sensitivity with increased gripping characteristics.